After 1987's successful album Hall of the Mountain King, Savatage established themselves as a strong and remarkable band for years to come. Gutter Ballet being the second album with producer Paul O'Neill, it marked the beginning of a completely new era for them. Although HOTMK hinted that they were onto something new, with Gutter Ballet it was clear that the Oliva brothers and Paul O'Neill had something completely different on their minds. When Jon, Criss, and Paul joined forces probably not even they could imagine where the Savatage legacy would lead them. Eventually Savatage would take their place in the history of heavy metal as one of the most original, haunting, ground-breaking, and emotionally devastating bands of all times. Originally, the working title for this album was Hounds of Zaroff. Till the last minute, Jon and Criss were planning to title it either Hounds of Zaroff or Temptation Revelation, which is one of the instrumental tracks on the album. The song "Gutter Ballet" hadn't been composed yet, and there was no intention whatsoever to experiment with such musical ideas either. Everything suddenly changed when Jon's manager Jon Goldwater gave him a ticket to see the "Phantom of the Opera" at the theatre. The minute Jon saw it, his vision on songwriting changed drastically. He composed the intro of "Gutter Ballet" the same night he saw the show, and the song was one of the last to make it on the album. Isn't it incredible how one of the band's most important tracks was created almost on a whim? 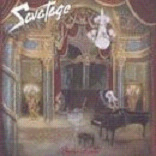 That soothing piano intro with poignant orchestral enhancements, cerebral lyrics, searing vocals, and a fitting guitar solo all made a trademark song that would eventually serve to define Savatage's trademark sound. If you are more familiar with Savatage's more recent concept albums all following interesting storylines, I think it is important to note that Gutter Ballet is not a concept album. Still, the ending trilogy consisting of "Mentally Yours", "Summer's Rain" and "Thorazine Shuffle" has strong lyrical bounds. All of them were written when vocalist Jon Oliva came out of alcohol and drug rehab. The ending trilogy is about a man called Timmy, who Jon and Criss knew from the band's earlier days. Timmy was a really disturbed and sick person. He was eventually found dead of an overdose in real life, which truly affected Jon. Gutter Ballet was also much inspired by Jon's real life three-day stay in a mental asylum before the doctors realised he needed drug rehab. During Sava's long HOTMK tour with Megadeth and Dio, Jon had a breakdown from exhaustion and drug use. So in this aspect the storyline of this trilogy arguably stems from a very personal experience. After his short stay at the mental asylum he was moved to the Betty Ford Clinic where he was roommates with Eric Clapton. I think the song "Thorazine Shuffle" makes indirect references in a twisted way about both Timmy and Jon Oliva himself. Gutter Ballet is a transition album from Sava's old heavy metal roots to the more prog-driven new sound incorporating keyboards and pianos in their music. Pianos would eventually become indispensable elements to Sava's songwriting. On this album they used it mainly in the title track, the amazing ballad "When the Crowds Are Gone" (the band's peak as far as lyrics are concerned), the beautiful instrumental "Temptation Revelation", and some others. Straight rocking tunes are the opening track "Of Rage and War", which is an awesome depiction of war, "Hounds" and "The Unholy". This is an excellent piece of work with great diversity. Criss Oliva to this day is one of my favorite guitar players ever. He played everything by ear, but the articulation he put behind his soloing was out of this world. Although every solo is beyond fantastic here, one of my favourites is the never-ending melodic solo in "Hounds" accompanied by Jon's emotional delivery. Criss would later become even better on the band's next two releases Streets and Edge of Thorns. The only song I don't like as much as the rest is "She's in Love". Actually it's got a very good groove but I think its lyrics somewhat pale in comparison with the solid statements offered by the other tunes. Jon Oliva's voice may need a little time to grow on you, especially compared to Zak Stevens', but no one can touch Jon on pure raw emotion. This is a very highly recommended Savatage album, and I'm not saying that because they're my favorite band. Even most non-Sava fans will agree that this is one of their must-have releases.